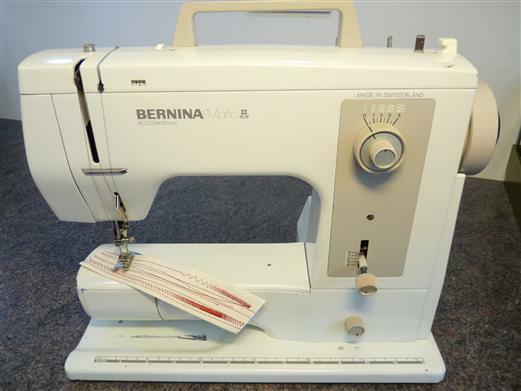 The Bernina 802 model was produced from 1979 to 1983 and is classed as a heavy duty sewing machine, perfect for dress making, patchwork and alterations. It is widely used in schools and colleges as a hard working robust machine that stands the test of time. It comes with hard carry case, sewing table, and foot control and lead. This machine has had a full service by me a Bernina trained engineer.